Q&A 1499 – Israel, or Palestine? 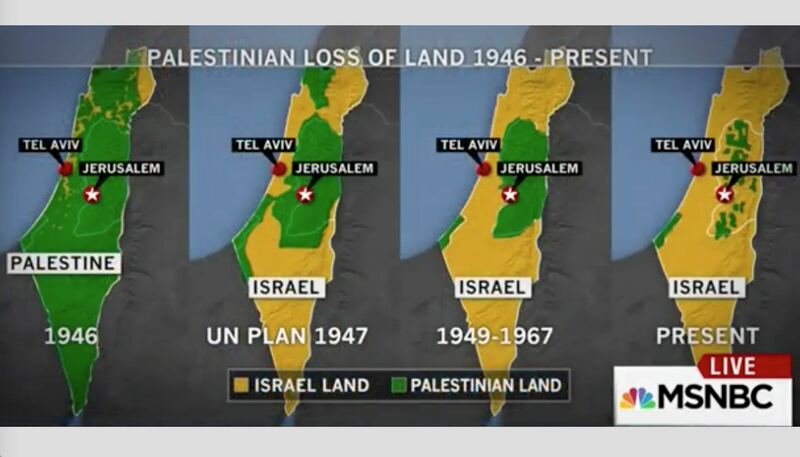 What's the correct name for the Holy Land, Israel or Palestine? And what's the difference between the two? Are Israelis different than Palestinians? Not at all; Israelis and Palestinians are not the same people. The politics of the current crisis are complex. If you want, you might browse the Politics section of the website. My goal today is modest: to clarify terms. In the biblical period, the Promised Land, or Canaan, became Israel. It was named after the covenant name of Jacob, whose 12 sons became the 12 Tribes (Gen 32:28). When the Romans defeated the Jews in the war of 132-135 AD (the Bar-Kokhba Revolt), they renamed the land Philistia -- after the perennial enemies of the Israelites, the Philistines. In English this becomes Palestine. When the modern State of Israel was created in 1948, many Palestinians (most of whom were Christian or Muslim, rather than Jewish) were evicted from their homes, their land expropriated by the new government. In my view, none of these developments fulfills prophecy. The Jews came back to their land in the 6th C BC, under the Persian king Cyrus (2 Chron 36:22-23). The majority of the architects of modern Israel were atheists and agnostics, and Orthodox rabbis oppose Zionism for its atheism and humanistic emphasis. Today the Palestinian territories, consisting of the West Bank and the Gaza Strip, are semi-autonomous -- like a country within a country, separated from Israeli territory by walls, fences, checkpoints and lots of guns. In many (sad and unfortunate) ways, the Palestinians are stateless. Being pro-Israel typically means being anti-Palestinian -- and vice versa. A friend of mine, a university professor and peace activist, declares, "If you're pro-Israel or pro-Palestine, you aren't pro-peace." Think about it.